The year 2013 brought so much joys and challenges to my simple, uncomplicated life. My husband turned 40. My daughter celebrated her 7th birthday. I underwent a major surgery few weeks before my 36th birthday. 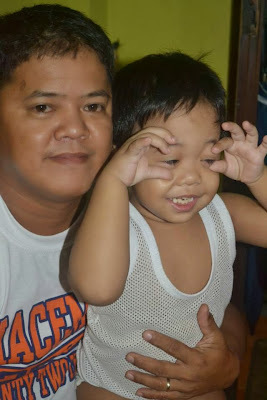 We were robbed at home on the night after I was discharged from the hospital. The thief got my two smartphones but thanks God we're in deep sleep and the perpetrator did not harm us. Here are the highlights of the year that has ended. January. 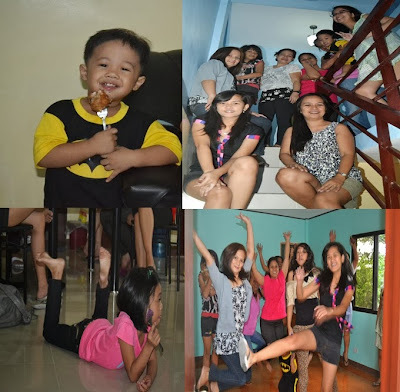 We celebrated the New Year's Day with the annual Zaballa Family Reunion in my husband's niece house in Quezon City. Febuary. We hired a nanny on the first week of February who lasted only for 5 months. I explored the beauty of Anawangin Cove in Zambales with my Monitoring and Evaluation Division family. March. 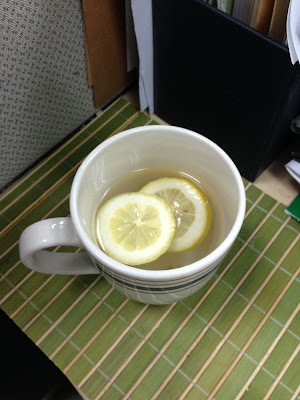 I discovered a healthier way to drink water more often by adding lemon in it. 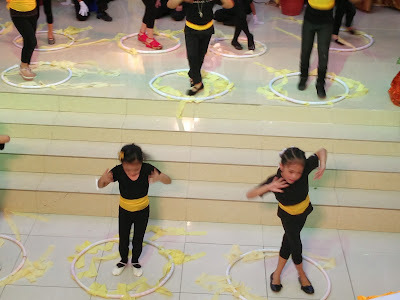 Thea participated in her class' dance performance during the MCA Recognition Day. Imagine how happy and proud am I while watching and taking photos of their special dance number. 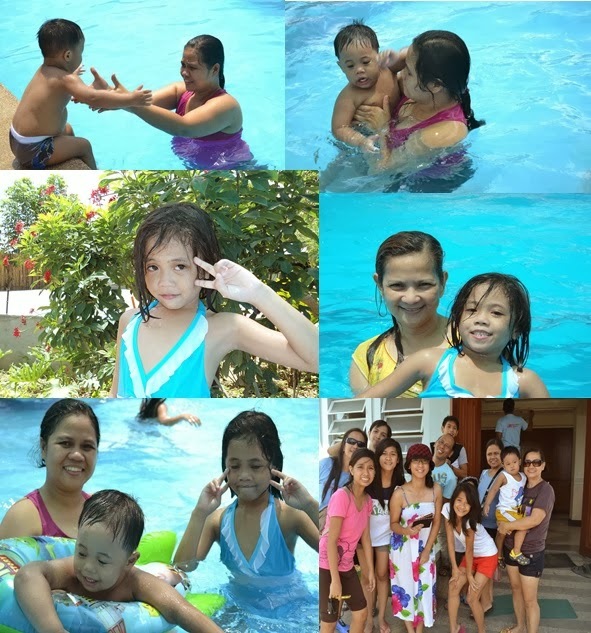 April is the official summer outing month of my family. We went to Borzner Events Place and Resort in Cabiao, Nueva Ecija. Thea celebrated her 7th birthday. 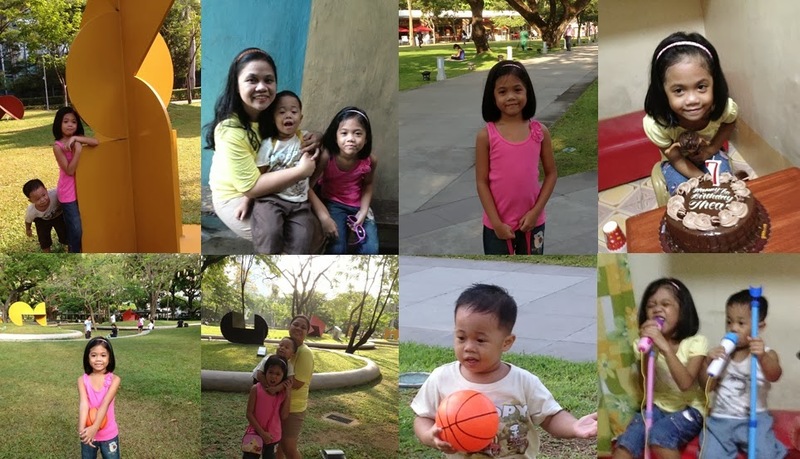 Yohan and the Birthday girl really enjoyed the playdate at the Ayala Triangle Gardens in Makati. We also had a simple celebration at home. May is my most unforgettable month of the year. 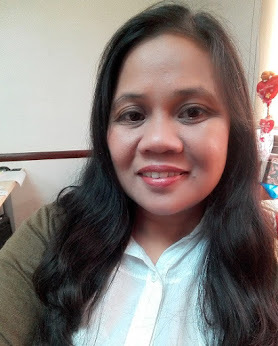 Few days after a three-day workshop in Subic, Zambales, I was admitted in the hospital which eventually led to removal of my gallbladder through laparoscopic surgery. My dear husbad gave me this Esprit wristwatch for my birthday. June. 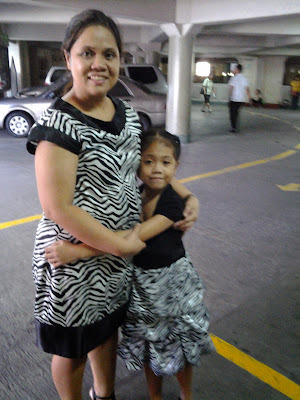 Time flies really fast, my Thea is already a Grade 2 pupil. July. Our Mid-year Thanksgiving Day. We also went to Seri Fantasy World. August is my husband's homecoming month. We spent his vacation by shopping, eating pizza and ice cream, and we also did some minor repairs in our humble abode. Separation anxiety attack happened in the month of September for he 'left' us again to finish his contract in Oman. He'll be home soon... three to four months from now. I was sent by our department to a five-day training on Statitics at the Statistical Research Training Center in Quezon City. October. Work and pleasure combined in a 3-day planning workshop in Graceland Estates and Country Club in Tayabas, Quezon. I was mesmerized by the place. I really admire its developer for making Graceland a distint place of relaxation by integrating man-made developmements with nature. 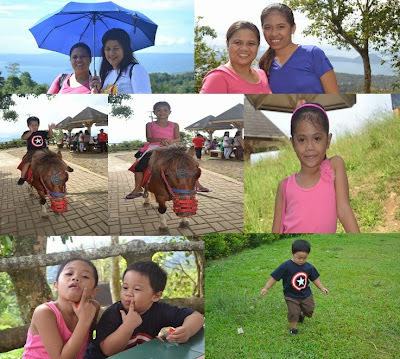 I really want to go there (again) with my family. November. Busy month in the office - filled with training, meetings, and preparation for our year-end get-together. The most devastating typhoon struck the country on the 8th day of November. Tropical cyclone number 5 Yolanda, international codename Haiyan left thousands of people dead in Eastern Visayas. 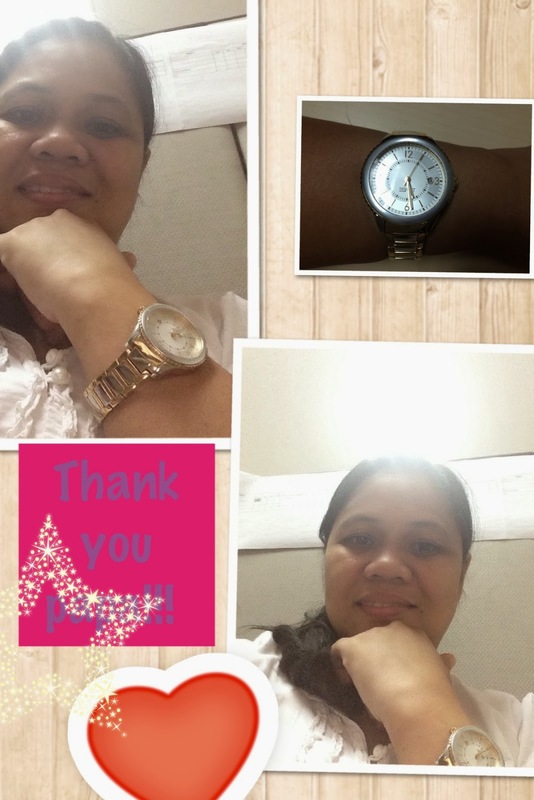 I volunteered in the repacking of relief goods and donated a portion of my Nuffnang earnings for typhoon victims. 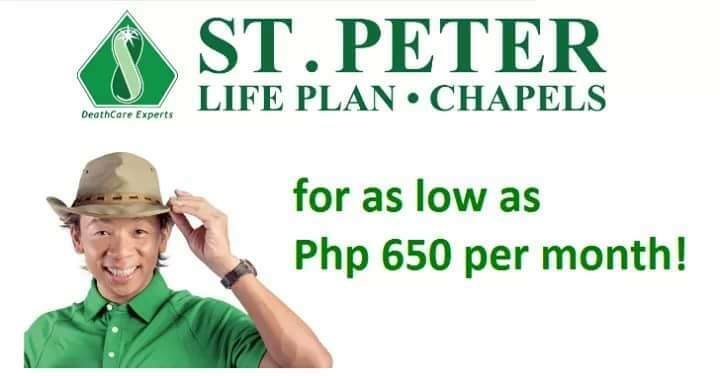 We also has our own relief operations in the church through the Lingap sa Mamamayan (Aid to Humanity) program. December is also a busy month. Iglesia Ni Cristo Year-end Thanksgiving Day. UDD Short Film Festival. My MED group hosted this one of a kind event. 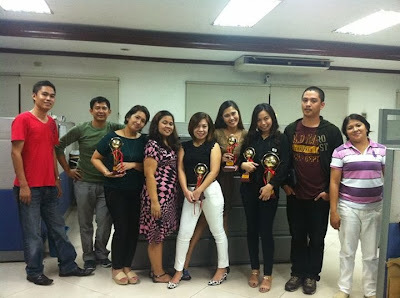 We got 4 out of the 7 major awards for our film "Puga" (Escape). With this project, we discovered that we are not only planners and writers, but also artists who can act and produce a movie. In fact, my group is thinking about taking this movie-making idea into the next level. So watch out for our film in the future Cinema One Orginals or Cinemalaya Festival. joke! joke! joke! 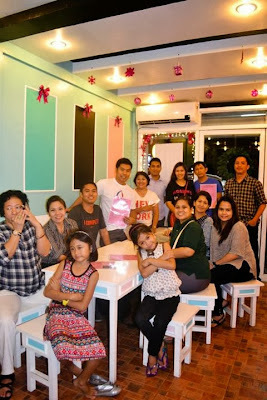 To celebrate our success, we MED people went Marikina City for a Foodie Adventure. We visited Luyong Restaurant, Pink Chiffon Cakes, and Mama Chits Coffee House. I will blog about our food trip in a separate blog post. Home improvement project No. 2 was finally completed. I've shown you the photos of that dream project in the previous post, right? The year ended with a Special Worship Services and prayer at our locale. That was the exciting events that happened in 2013, full of blessings and happy memories with the persons I truly love.